The August issue of Psychotherapy and Psychosomatics published a review conducted by André F. Carvalho and colleagues regarding the literature around the long-term use of newer generation antidepressant drugs (ADs) and their side effects. Their investigation, which focused on data obtained from populations diagnosed with Major Depressive Disorder (MDD), found that there were a number of safety issues and potentially serious adverse events, which occurred as a consequence of using ADs. “ADs, particularly following long-term use, may increase the risk of experiencing additional psychopathological (e.g. treatment-emergent affective switches and paradoxical symptoms), or medical (e.g. obesity and bleeding) problems that do not necessarily subside after discontinuation of the drug, and that may modify responsiveness to subsequent treatments,” they write, citing a previous article written by one of the co-authors. MDD is considered a major public health issue and antidepressants have been found to be the most frequently prescribed medications in the U.S. among certain age groups. 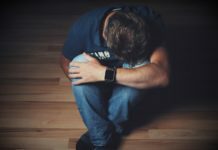 A projection study conducted by the World Health Organization has predicted that unipolar depressive disorders will be one of the top three leading causes of “burden of disease” by 2030. As newer drugs are developed, these are typically considered “safer” than the tricyclic agents (TCAs) that were first used for the treatment of MDD. Despite recent research efforts, evidence regarding the safety and efficacy of these newer drugs remains fraught with controversial results. The authors evaluated the literature on newer generation antidepressants including serotonin and noradrenaline reuptake inhibitors, bupropion, mirtazapine, trazodone, agomelatine, vilazodone, levomilnacipran, and vortioxetine. In their review of adverse events related to these drugs, they included data obtained from observational studies, randomized controlled trials, previous reviews, and case reports. Results from the review showed that while some side effects were transient, others could persist even after treatment discontinuation. Iatrogenic comorbidity then becomes another concern with the use of ADs and could impact future treatments. 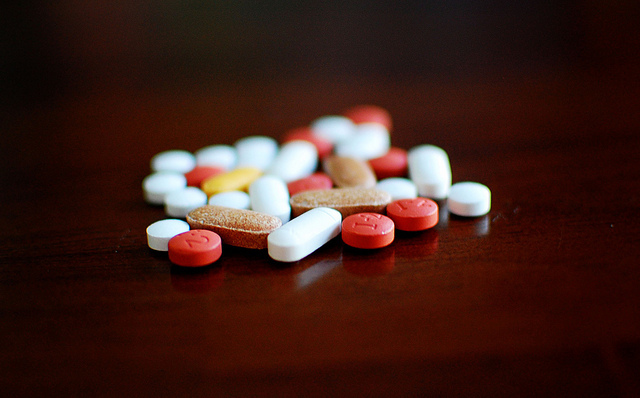 The authors conclude stating “the findings of this review suggest that long-term treatment with new generation ADs should be avoided if alternative treatments are available.” Thus physicians should critically examine their decision to prescribe these drugs, weighing the risks, as well as the likelihood of efficacy and responsiveness. You’d have a lot less to worry about from antidepressants if you presumed depression to be a syndrome (with a number of potential causes) instead of an independent disease entity having nothing to do with the general health of the sufferer. Its a total sucker bet taking these pills, chances are so much higher you are going to get side effects or withdrawals or made worse then feel un depressed. Sucker bet like a scratch off lottery ticket you see people constantly buying but rarely see anyone with a winning ticket. Maybe if you have REAL depression its is worth a shot, the kind of depression that really hurts as opposed to answering a questionnaire left by the drug rep in the waiting room of the doctors office and coming up positive cause you hate your job or your partner has a crappy personality and you married them. 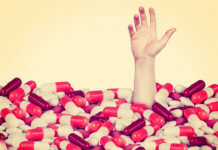 This whole business of “depression” and pills is such a colossal waste of resources, billions and billions of dollars in doctor visits pharmacies overhead … I think if the whole SSRI industry just disappeared tomorrow we would all be better off. One in 10 Americans now takes an antidepressant medication; among women in their 40s and 50s, the figure is one in four. THAT IS INSANE. I wish my doctor never prescribed me these drugs. Instead, it would have been better if he referred me for Cognitive Behavioral Therapy. Getting off of them is the hardest thing I’ve ever had to do and I still have leftover symptoms to this day despite ending my taper over a year ago. They caused so many more problems than the depression and anxiety I had at the time. And yet, today on Twitter, pill proponents are up in arms because of a BBC show about a doctor who took all the patients in his practice off prescription drugs. There are cries of “pill-shaming” and “stigma,” which are efforts to turn this into a moral issue. That’s not right at all. I don’t know if they really believe those who speak out against psych drugs are shamers and stigmatisers, but there is no evidence to support such accusations. In the time I have been reading so-called anti-psychiatry sites and forums, I have never once seen anyone advocate drug-free depression therapies because they believe using mood drugs is immoral. Prescribing them is immoral, but that’s the doctors. The morality of patients is not something we question or disparage. We are concerned for their mental and physical health and comfort. We are former pill-takers, therapists, psychologists, and medical doctors and our only cause is the cause of health. We have seen it first hand, or lived it: the drugs are too harmful to be worth the debatable benefits they confer. PS. All four preceding comments were excellent.